The video takes 22 minutes of your precious time, but already in the first few minutes it will become clear why we are ‘chronocentric’. Derek Ziglar (who passed away in 2005) of Chronocentric really picked his website’s name very carefully. 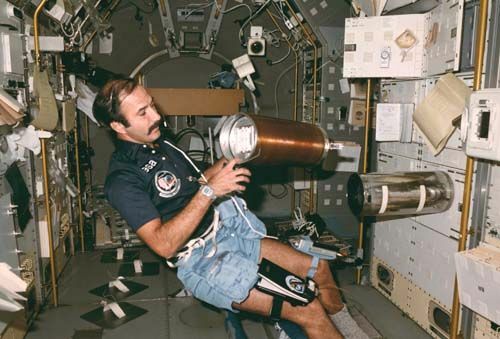 Below you see Wubbo Ockels in action in the mid-1980s wearing his Seiko digital chrono. If anyone knows more about the specific Seiko reference number of this 100m Sports chrono, please do let me know.